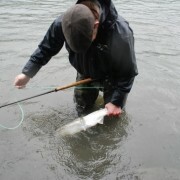 Well my winter steelhead season is not done but we are well past the half way mark. 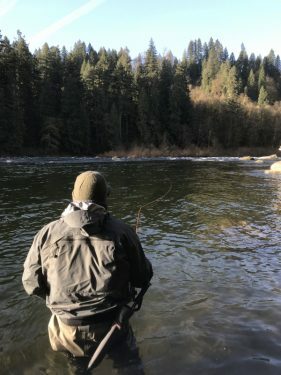 I watched a lot of fishing for winter steelhead over the past 4 months. Saw some thing and made notes about the things I saw. On top of that I always keep a running tally of the fish and some stats the surround that’s the fish hooked. I would like to share my finding with you. 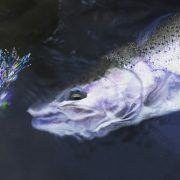 Let start with what I see as a full time steelhead guide. I see that most anglers try to show up with and be the most prepared they can, this is very appreciated. Most of them have rods less than 2 years old and the news years model of lines, I would say 80% of them almost make it a point. I also see a wider selection in most anglers sink tip wallets. A range of T-11 to T-17 and sprinkle in a T-8 or old type 3. All good things to have. Now here is where I see people either uneducated or not fully understanding what they are trying to accomplish. The new wave of Skagit lines seems to be multi-density lines where the front portion of the actual Skagit head sinks and then gets progressively lighter and at some point as you go back down the line reverts into a floating line. The sinking portion of these lines is anywhere from 8-15’. Now I have zero problems with these lines, I have more problems with how they are applied. 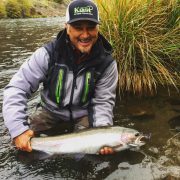 Knowing more about the rivers you fish in regards to flow and fishable pieces of water. 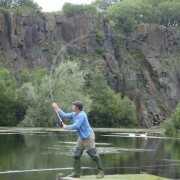 Now this is where I want to help you as anglers. I want to help you to understand the need and use of these types of lines. The thought process in using and purchasing theses types of lines is to either get deeper or slow the fly down by getting more sinking material below the quick surface current. Now on the river I guide deep is a relatively term. But if you want depth on the urban rivers of the greater PDX area then in my opinion you need be very selective of the runs you fish with very heavy tips and flies. 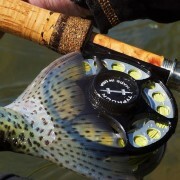 On the other hand if your goal is to get the fly speed as slow as possible. Here is where is have seen the anglers gone a bit off. 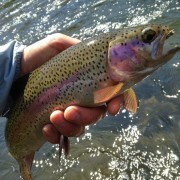 If your a guy who is after a slower fly then you can’t fish the same tip as if you are trying to get the fly deep. So if you want deep have a tip for that, if you want slow have a tip for that. It you want deep and slow…. have a piece of water for that!! 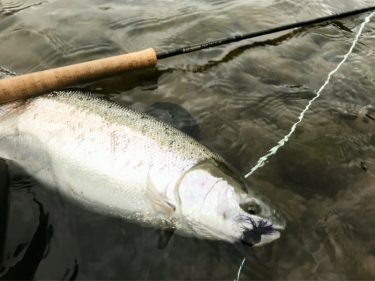 With a line that sinks the tip below the surface current if you use the same tip you would on your floating Skagit line your most likely going to be too deep. For the sake of your next line purchase… have a plan for what your trying to accomplish with the equipment your buy. 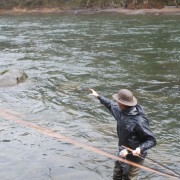 Now the stats… 7 steelhead landed on floating Skagit lines behind their fishing partner using multi-density lines. 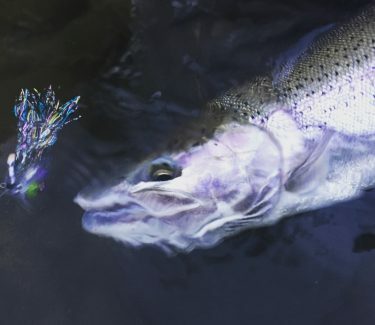 On average the heavier setup lots 3 more flies a day… and I believe these lines can be an effective part of an anglers arsenal. But use them with a purpose!! Have fun and get on the water!!! 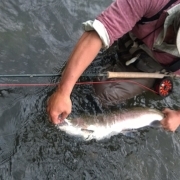 Spey Nation 2014, and Deschutes Trout Report. 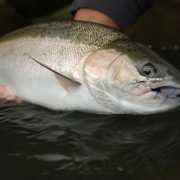 These Winter Steelhead Can Be FUN! !